An ounce of Prevention is Worth….. a Pound of Cure! JERSEY CITY, NJ, December 3, 2010 - Comodo, a leading Internet security organization, is giving customers some sound security advice this holiday season with ten tips for remaining safe when purchasing your holiday gifts online. "Cyber-criminals are smarter and hungrier than ever to take advantage of those trusting individuals who don't take the necessary precautions to keep their information secure when purchasing those last minute gifts on the go," said Melih Abdulhayoglu, Comodo CEO and chief security architect. "These 10 very basic tips should help you from falling prey to such cyber-criminals looking to steal your credit card information or identity." These days the cyber world is becoming bigger and bigger with rapidly growing number of businesses and individuals using the Internet as a business place. Naturally, cyber-criminals target computers with low antivirus Internet security to commit their criminal activities. Never, under any circumstances, use a public network for financial transactions. Public networks include Internet cafes, coffee houses, public libraries and airports. Only send your personal and financial details over a network you've set up yourself, or one you know to be secure. Who knows what horrors are lurking on the hard disk of that internet. Never, ever submit confidential data over a non-secure connection. Whenever you are about to login to a site you should always take a moment to first check whether the browser address bar starts with https rather than http. Even if you are on a https connection, never submit confidential information to a site if your browser displays a 'certificate error'. Such an error can be for many reasons, none of them good. It can mean the SSL Certificate has expired, has been revoked (possibly for fraudulent behavior), is a self-signed certificate (the business behind the website has not been checked out by trusted third party) or because the domain listed on the certificate does not match the domain to which you are actually connected. Use complex passwords for online logins (a different one for each site). Passwords should contain at least 8 characters with a combination of alpha numeric and special characters changed every 60 days (immediately if you suspect that it has been compromised), and should not contain your username or any other personal information associated with you. Passwords must NOT be written down on paper, stored electronically without encryption, sent over insecure e-mail, chat or SMS, or disclosed over phone or even in person. 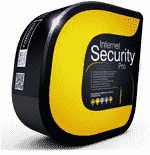 Use added Internet security protection software. 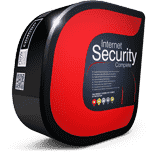 Using such software, like Comodo TrustConnect, can protect your data and privacy when shopping online or browsing the internet while at coffee shops, hotels, airports, libraries, or anywhere you're using the Internet, for both wired and wireless connections. Disconnect from the Internet when not in use. Whenever your Internet is not in use just simply disconnect form Internet. It lessens the possibility of cyber-criminals passing your Internet security. Avoid file sharing. Files from other computer users may contain malicious infections that, without a good anti-virus Internet security protection, can potentially destroy your computer or steal sensitive information. Make sure you turn off and disable file-sharing if it is not needed. Update security patches. Computer programs sometimes contain bugs that may be exploited by a malicious person to attack and potentially harm your computer. Therefore, it is very important to regularly update your security patches and increase your safety. Look for the Green. If you see the green bar at the top of your web browser URL, then you are good to go. The green bar Extended Validation is the next generation of SSL Certificate and was designed to strengthen e-commerce security and combat phishing attacks. The highly visible green address bar helps e-commerce merchants increase trust, reduce shopping cart abandonment, and build long-term revenue. 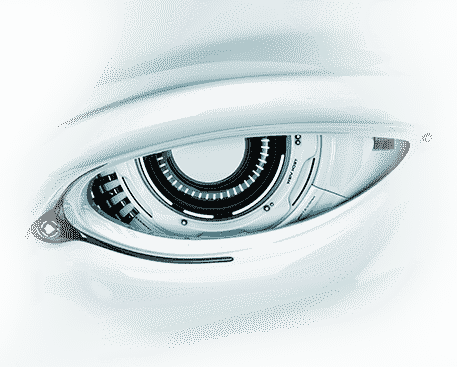 Prevent 'brute force' password cracking attempts. The password should not contain any words found in the English dictionary and should not repeat any previous passwords. You should also make a point of raNdoMLy switching between upper and lower case letters. Users can also greatly reduce the chances of their password being compromised by logging out of the website and closing the browser window after each secure session. Look for 'Trust Marks' and customer feedback while on a merchant website. 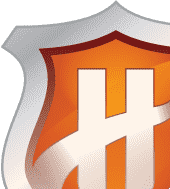 Look for those site seals like seller ratings from a trusted source, the Corner of TrustLogo, BuyerTrust, HackerProof, etc. Each of these site seals conveys a slightly different message of security but are all testaments to a merchant's trustworthiness.